Arsenal fans may want to take a look at this neat little stat about their new manager Unai Emery to quash any doubters about the man trusted to replace Arsene Wenger. While the Spanish tactician is not the biggest name to have been linked with the Gunners job this summer, he looks a fairly safe pair of hands and seems to guarantee silverware wherever he goes. 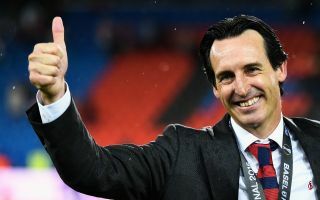 A serial winner of the Europa League during his time with Sevilla, where he won the competition a remarkable three years in a row, Emery has also picked up a host of domestic honours with Paris Saint-Germain, who he just left at the end of the season. So while many Gooners might have wanted a Massimiliano Allegri, a Luis Enrique or a Diego Simeone, it actually transpires that Emery has as many or more trophies than any of them since the 2013/14 season. The tweet above shows Emery with eight pieces of silverware in that time, as many as Pep Guardiola, Allegri and another former PSG boss Laurent Blanc. Enrique, meanwhile, has only picked up seven. And if you’re wondering, Jose Mourinho has four, Arsene Wenger managed just three (not including Community Shields in both cases), and Mauricio Pochettino and Jurgen Klopp have a grand total of 0 between them.